The houses below are the post war houses known as the white cities. 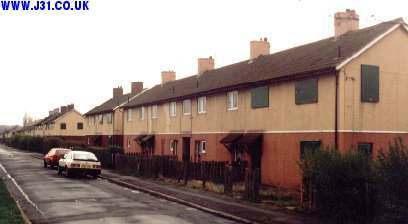 Many of those in the picture had windows borded up (November 1999) and like those in Kiveton and other places may be facing demolition in the not too distant future. Postscript 14th Jan 2000 - the local press reported today that the white city houses would be demolished in the near future as they were becoming impossible to let to anyone. 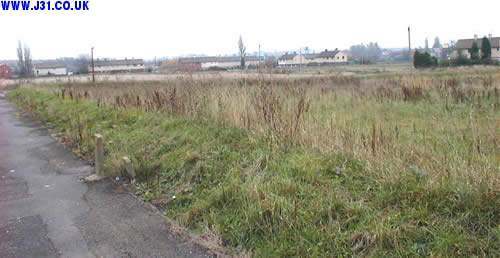 ...and have now (2009) been replaced by modern housing (see />Laughton Common 2009).